Lee David Auerbach Esq. | Auerbach Law Group, P.C. 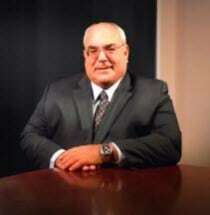 You are here: Home | Attorney Profile | Lee David Auerbach Esq. Born in Mount Vernon, New York, Lee David Auerbach, an accountant and practicing attorney for more than four decades, has represented clients before state and local courts, federal and state administrative agencies as well as in multi-state arbitration matters. Mr. Auerbach has represented and currently represents clients before the Internal Revenue Service Examination and Collection Divisions, Internal Revenue Service Criminal Investigation Division, Internal Revenue Service District Counsel Office, United States Attorney's General Office for three federal districts, Securities and Exchange Commission, Social Security Administration, United State Department of Justice - Tax Division, New York State Department of Taxation and Finance, New York Board of Tax Appeals, New York Attorneys General Office, United States Tax Court and New York Supreme and Surrogate Courts. Mr. Auerbach has represented various Fortune 500 business executives, medical and legal professionals, religious leaders, entrepreneurs, regional certified public accounting firms, entrepreneurs and commercial and residential real estate developers. Marshall Granger & Co., C.P.A.